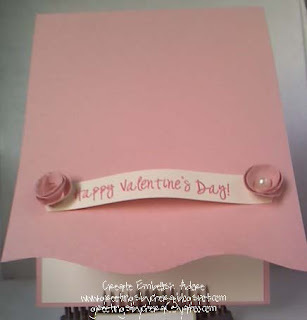 Create Embellish Adore: Can you say... CARD ??? Can you say... CARD ??? WHAT DO YOU SAY TO A FEW CARDS? Even if they are VALENTINE like? This one could be a an anniversary card, thinking of you, or romantic just because... its pretty masculine ... its made with foil.. I love running foil thru my BIG SHOT.. gives me endless embossing to embellish with. LOVE YOU BIG SHOT! The next two cards are the produced from the same cut our on the bottom of the front flap. 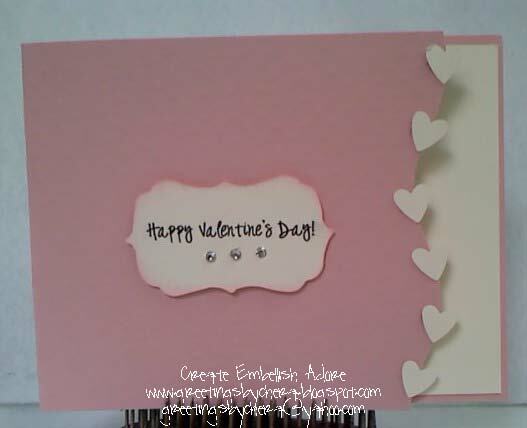 I used my swirl edge template for scrapbooking here just to give another look. 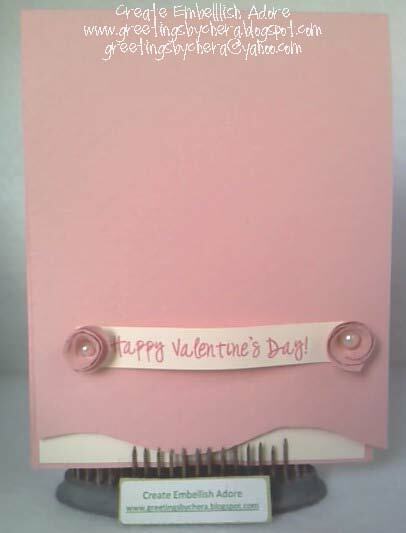 This one I layered Very Vanilla inside the card to reflect out. 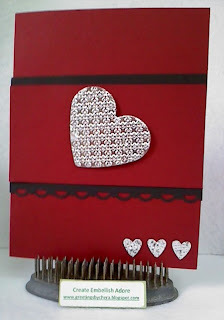 I used little tiny hearts (trio heart punch) to line the curved line. I grabbed a funky font from HERE, and then used the Big Shot- Matchbox die with the tags to make this tag in Vanilla. Added the rhinestones and then sponged the edges. This is on dimensionals on the card front. This picture was taken with an old camera, that apparently didn't like the setting I wanted it to have. Sorry for lack of better lighting! ﻿ So, next is again, the swirly template (curly- who knows the correct name for it) but this time I let it go. I added a Valentines label, from the Big Shot- Petal Cone die, and made two little rolled buds. Great cards today! Keep hinting about the camera - there's always Mother's Day!! Thanks for sharing. Very pretty! 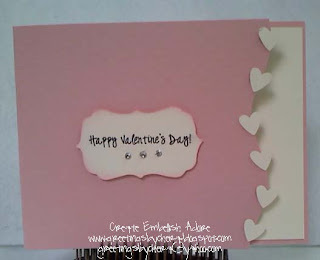 Especially like how you did that second one with the curvy edge and the hearts along it -- great idea!